You can make coasters, which make great gifts for family and friends. There are many different ways to do this, subscribe to my feed in the sidebar to be updated when there are new tutorials! 1. 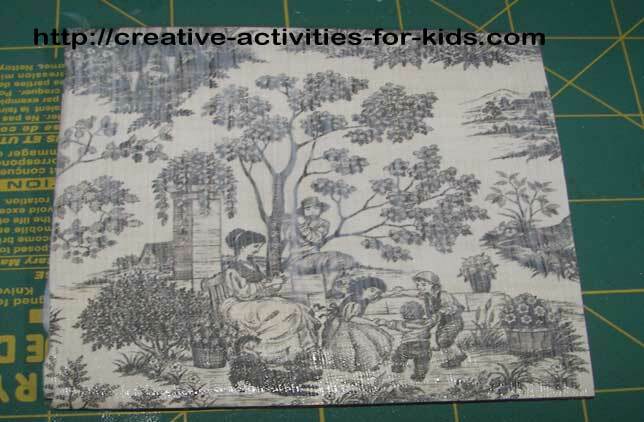 Center the coaster on the scrapbook paper so the design looks good. 2. Using the coaster as your guide cut around it. 3. 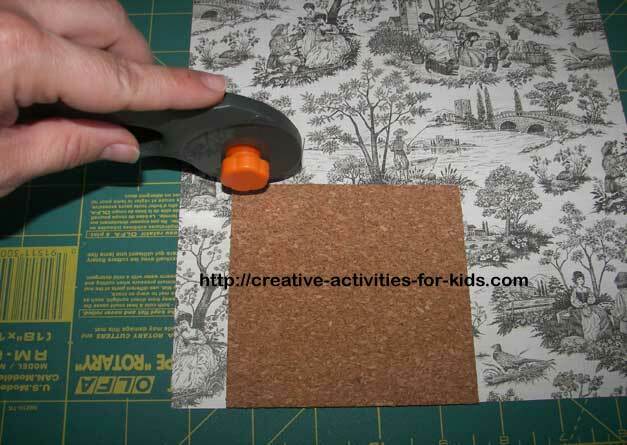 Apply a layer of Mod Podge onto the cork. 4. 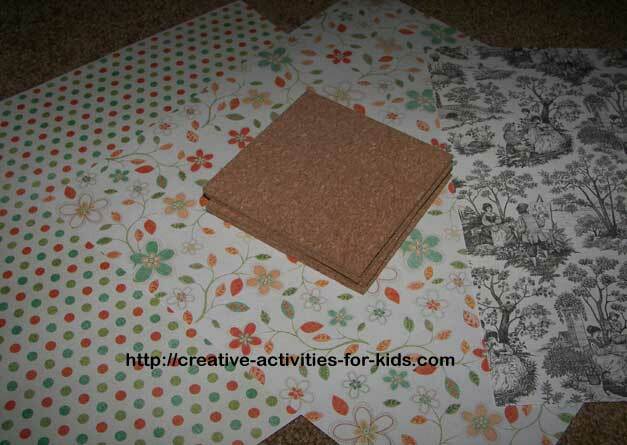 Press your scrapbook paper onto the coaster. 5. Apple a layer of Mod Podge on the top of the paper. There are a lot of variations on what you can do with the coasters. You could also apply fabric, or tissue paper. We like to make these as gifts in sets of 4. 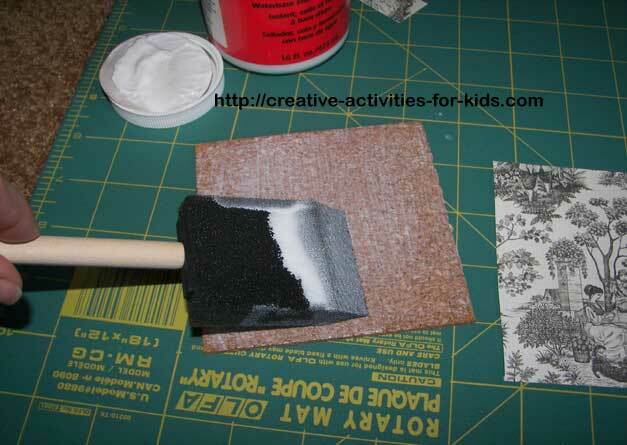 You can also use stencils and Mod Podge it to the coaster. 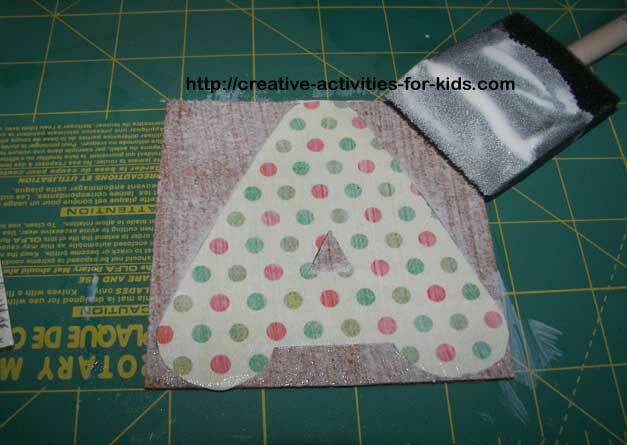 I just traced the letter A for Anne and applied it the same way as the tutorial above. You could also spell out the entirie name. It was easy to make coasters! Want to make more crafts?